We are called to be Jesus witnesses, but how are we to live this out in today’s postmodern culture? How do we grow in faith that God is at work and actually be prepared to "Always be prepared to give an answer to everyone who asks you to give a reason for the hope that is in you”. 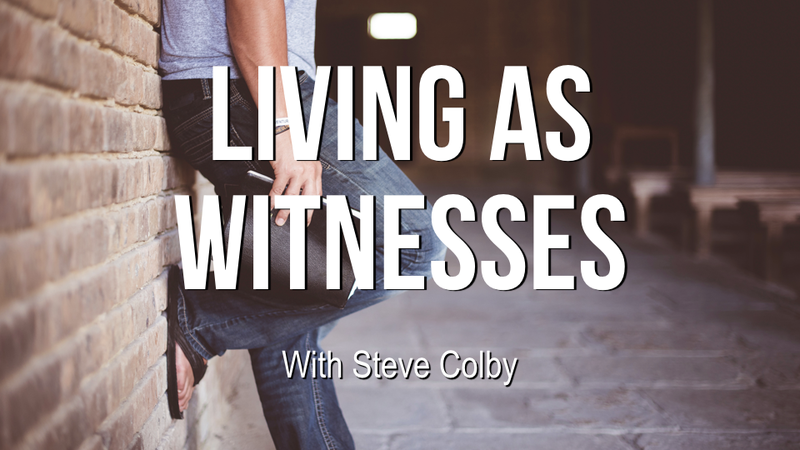 Sunday March 10th 10am - 12pm Steve Colby will be leading a “ Living As Witnesses” workshop at Redemption Church. He will be drawing from material from “I Once Was Lost’ book by Doug Schaupp and Don Everts. The book is highly recommended as pre-reading material for the workshop.